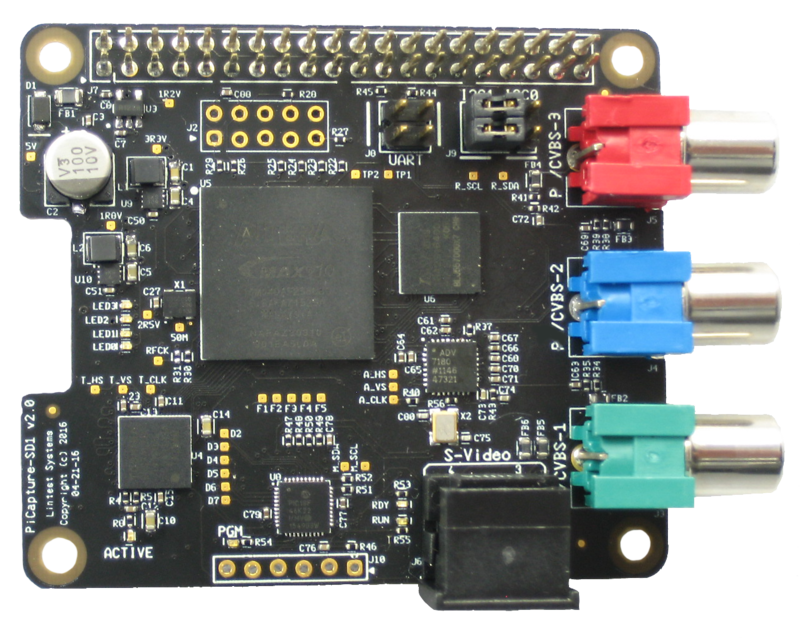 Lintest Systems is pleased to announce the PiCapture line of video capture products for the Raspberry Pi. PiCapture products fully emulate the Raspberry Pi camera, allowing capture of Standard or High Definition Video from a variety of sources. They are compatible with any Raspberry Pi with a 40-Pin GPIO Header. Raspivid, Raspicam, and PiCam software may be used without modification.